Now that's some impressive fan-art. 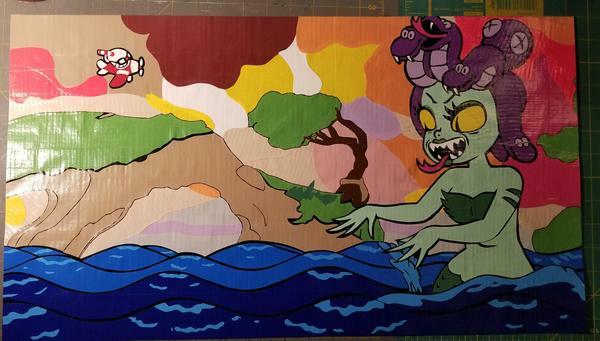 Reddit user Enemyxlasagna has recreated a scene from Cuphead using nothing but different colored duct tape. The end result is something that looks pretty darn close to what you see in-game. I can't imagine duct tape being an easy medium to work with, making the end result even more amazing. The Domino King has returned yet again. This time he was inspired by the Yoshi's Crafted World demo! Check out his tribute to the game above, which includes the use of over 34k dominoes! No, you're not looking at a screenshot from Yoshi's Crafted World. This is a real-life mini diorama created by Reddit user Trrzs! His attention to detail is pretty staggering! Looks like someone knows a thing or two about creating mini scenes like this! Some people say that creating a meal is an art. That's hard to deny when you see the creation above. This Bowser cherry pie is indeed worthy of an art gallery, making it almost too good to eat! 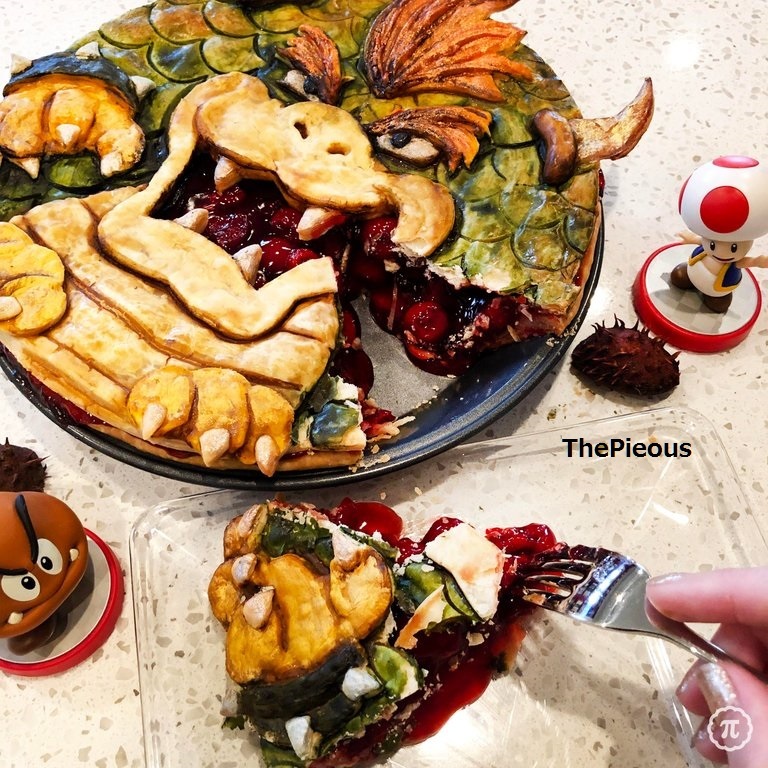 Pie creator ThePieous is one behind this creation, and as you can see in the picture above, they believe the pie to be ripe for the picking! Man, this is some masterful clay work. 'Squash Clay' did an amazing job with his Sobble clay figure, which we showed last week. Now he's back with Scorbunny and Grookey clay creations, and they're just as fantastic. The starters never looked better! Now this is going above-and-beyond with fan-art! Reddit user Coco-coco is a big fan of Pokemon Sword and Shield's starters, so much so that he turned them into Pokemon TCG cards! While there's no print version of these cards yet, Coco-coco has done a masterful job with these 3D animated versions.